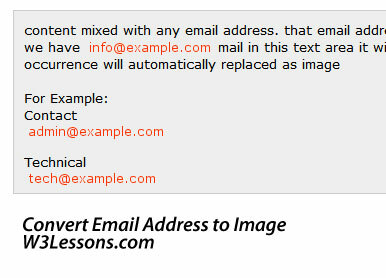 W3 Lessons: Protect email address in web content. Protect email address in web content. While building web content we may need to include email address. In this case spam bots are may access our web page and collect email address inside our web content. based on this email address extracting script. The only way to protect Email address inside the content is convert all email address into image.